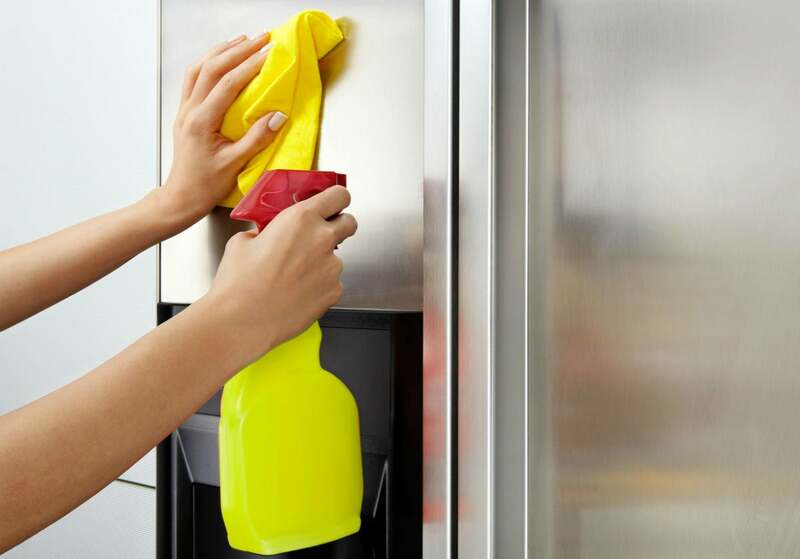 Remove fingerprints, food splatter, and grease from your kitchen's metal surfaces carefully and completely with this set of cleaning products and techniques. Gleaming and shiny, stainless steel brings a bright and polished air to any kitchen. Keeping that brilliant sheen, however, takes a little bit of work—and some very specific cleaning products. Fortunately, this complete guide on how to clean stainless steel will assist you in preserving this metal finish’s like-new look. The first thing to know when considering how to clean stainless steel appliances, sinks, and countertops is what not to do. Some popular cleaning products will damage the finish on stainless steel, and even plain water can leave unsightly marks and spots if not used properly. Despite its name, stainless steel can and does stain. DON’T use chlorine bleach or any product containing chloride. DON’T use abrasive cleansers on brushed stainless steel. DON’T clean a stainless steel surface unless it is cool to the touch. DON’T use gritty, dirty, or excessively hard water, as it can leave spots or brownish stains. 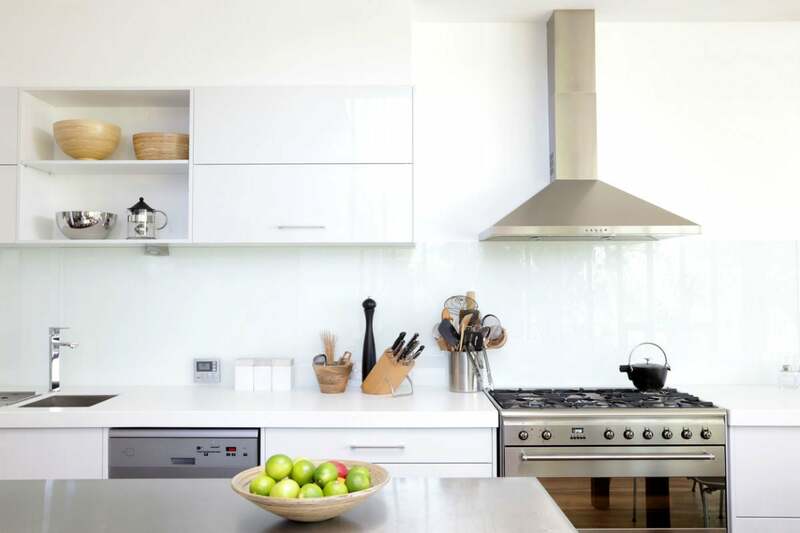 Although the list of what not to do may seem daunting, there are some very simple things that you can do to clean stainless steel appliances without going any farther than your kitchen sink. Pay attention to your owner’s manual, following the cleaning and care instructions to the letter. Some new stainless steel appliances are treated with a clear-coat finish at the factory, and some cleaning products can strip or mar that finish. Wipe down appliances with a soapy washcloth every time you do the dishes. This is one of the best habits to adopt when cleaning stainless steel, and it’s an easy one to adopt. Rinse the washcloth with clean water, and wipe again to remove any soap; then finish with a wipe of a dry terry towel. Start at the top of the appliance and working your way down towards the floor. Use a nylon scrubber, mild liquid dish soap, and hot water on baked-on foods. To tackle heavier grease or baked-on foods takes a little abrasion, but be wary of the tools that would leave scratches behind—nylon scrubbers offer just the compromise. Be sure to rinse the surface and towel dry to prevent water spots or staining after you have cleaned the stainless steel surfaces. Remove the most stubborn stains with a baking soda paste. Mix baking soda with liquid dish soap into a paste and gently scrub into the grain using your nylon cleaning tool or an old toothbrush. If some truly tough dirt and stains remain, cut through them using undiluted cleaning vinegar—but only if you’ve verified that your stainless steel does not have an oleophobic (i.e., oil-repellent) coating, which can be stripped by the vinegar solution—again scrubbing gently with a soft brush. Be sure to rinse and towel dry. For a homemade stainless steel cleaner that you can store, mix cleaning vinegar and essential oils. If you’d like to mix a simple, all-natural spray for routine cleaning, combine 32 ounces cleaning vinegar (which has six percent acetic acid content, more than the plain white variety) with 10 to 20 drops of food-grade essential oil in an emptied spray bottle. Again, only use if you have confirmed that your stainless steel appliance doesn’t have an oleophobic finish. Restore shine with food-grade mineral oil or lemon oil, if not a stainless steel polish. Buffing your appliances periodically after cleaning stainless steel will help maintain a lustrous finish. Apply the polish in the direction of the grain with a lint-free cloth, then buff and dry with another lint-free cloth. So far, when discussing how to clean stainless steel, we’ve focused on cleaners that many homeowners already have in the pantry: liquid dish soap, baking soda, vinegar, and even food-grade mineral oil. Not only are these options easy to access and inexpensive, but they’re also naturally food-safe for use in your cook space. There are, however, numerous non-abrasive cleaners and polishes that are designed specifically for use on stainless steel. My personal favorite to use when I clean stainless steel is 3M Stainless Steel Cleaner (available on Amazon), but there are several other highly recommended brands, including Bar Keeper’s Friend (available on Amazon), Cerama Bryte (available on Amazon), Sprayway (available on Amazon), and Weiman (available on Amazon). 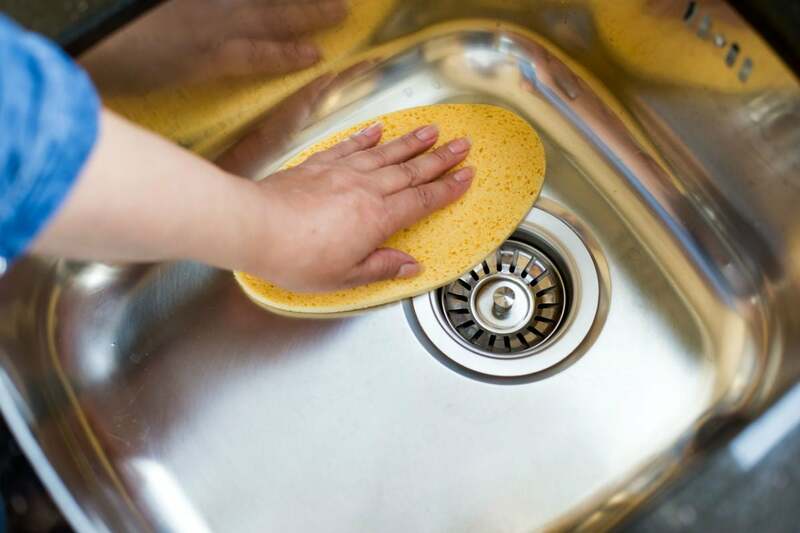 When in doubt, always test your stainless steel cleaner on a surface that’s somewhat hidden, like the back or sides, before moving on to clean stainless steel on the most visible areas, including an appliance’s front or top of a kitchen counter.